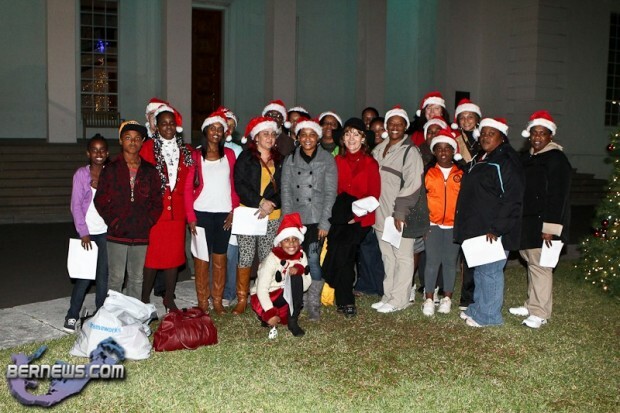 Carollers spread the joyful message of Christmas in Hamilton last night [Dec.21], led by local radio personality Patrina [Power Girl] Paynter. Approximately 30 carollers started their rounds outside City Hall, then made their way through the Washington Mall, Phoenix, Marks & Spencer, Front Street and, finally, the MarketPlace. MarketPlace allowed the group to come inside to sing carols, serving them free hot chocolate and gingerbread. Then the group made their way to Power 95 where they surprised DJ Radigun with treats from the MarketPlace and Christmas carols. 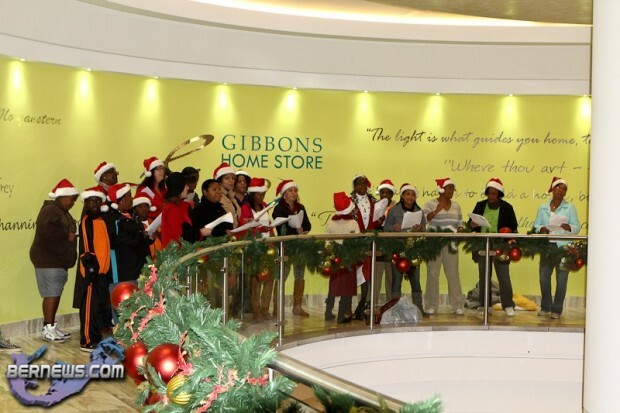 Power Girl continued, “The reason I started carolling was because I wanted to do something to bring members of the community together and relive memories of Christmas past in Bermuda. When I was younger some of my fondest memories are of me carolling with my mother and members of our church. “During this time we should be thankful and focus on what’s really important,” said Power Girl. “The simple things in life are sometimes the most meaningful. 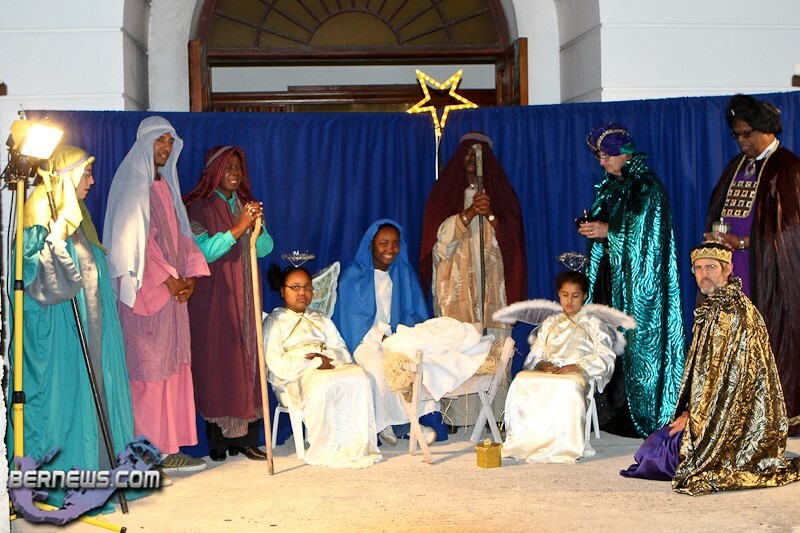 Hamilton was alive with the Christmas spirit last night, as in addition to the carolling there was an hour-long live nativity scene outside Wesley Methodist Church on Church Street. A small crowd gathered outside the church, where chairs were set up for people to sit in. Christmas music was played as the participants recreated the ancient scene depicting the birth of Jesus as described in the gospels of Matthew and Luke. Some curious children tried to walk onto the set during the nativity sequence, with parehts rushing to pull their little ones away. Very nice everyone sad I missed it this year. Watching it bought back memories of my childhood out with my family and church. Jesus is the reason for the season. Thank you everyone for bringing it back keep it up. Next year I am going to bet you will have more than your 30 or so people. I am thinking about ummmm 300 Have a great one and Merry Christmas everyone. You know if I was home I would have been carloing with you all! Boobish why u hiding in the back LOL! Was lots of fun, as tough as it is in Bermuda right now, it did my heart good to come together and I hope we can do this again real soon! We had such a great time even though we were few in number. Next year, we hope more folks will join us. To PowerGirl and all who sang, it was a privilege and a pleasure. God willing, see you next year! !